With this app, you can convert between Celsius, Fahrenheit and Kelvin. 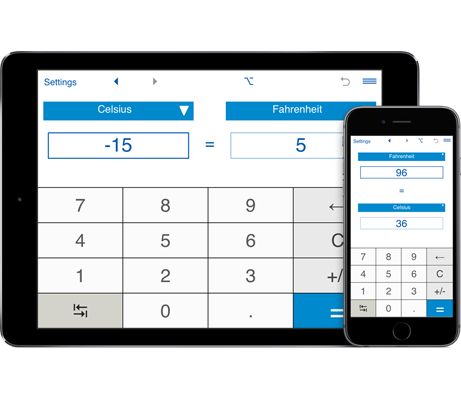 With this app, you can easily convert between different temperature units. Temperature unit converter performs conversion between Celsius °C, Fahrenheit °F, Kelvin K.
Rounding to the specified number of decimal places: for decimal numbers, you can select the number of decimal places you want to display. By default, the app displays 2 decimal places. To round results to the nearest whole number, select 0 decimal places.